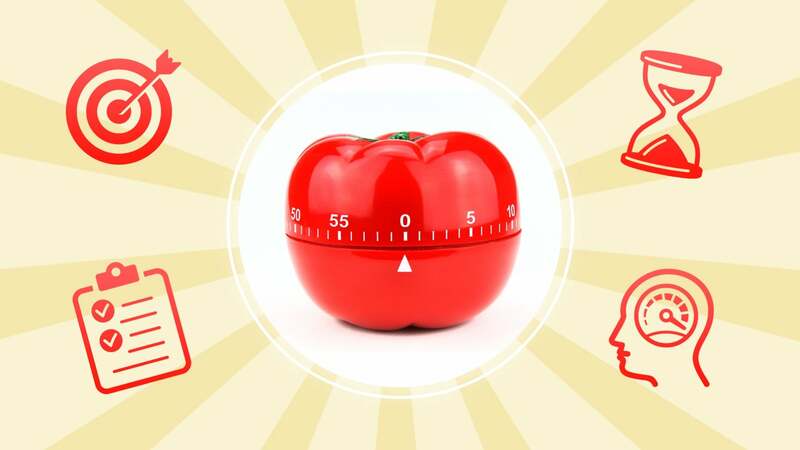 The Pomodoro Technique can help you power through distractions and get things done in short bursts. If you have a job that expects you to meet deadlines, it's a great way to get through your tasks. Let's break it down and see how you can apply it to your work. We've discussed the Pomodoro Technique before. We gave a brief description of it a few years back and highlighted its distraction-fighting, brain-training benefits. However, we've never done a deep dive into how it works and how to get started with it, so let's do that now. 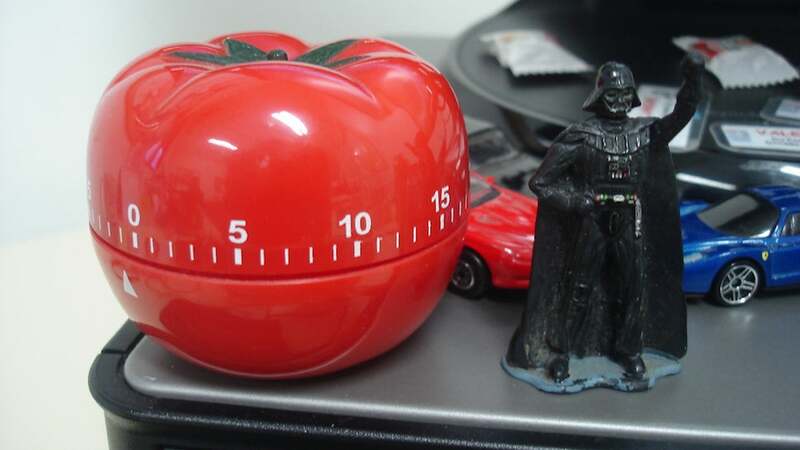 The Pomodoro Technique was invented in the early '90s by developer, entrepeneur and author Francesco Cirillo. Cirillo named the system "Pomodoro" after the tomato-shaped timer he used to track his work as a university student. The methodology is simple: When faced with any large task or series of tasks, break the work down into short, timed intervals (called "Pomodoros") that are spaced out by short breaks. This trains your brain to focus for short periods and helps you stay on top of deadlines or constantly refilling inboxes. 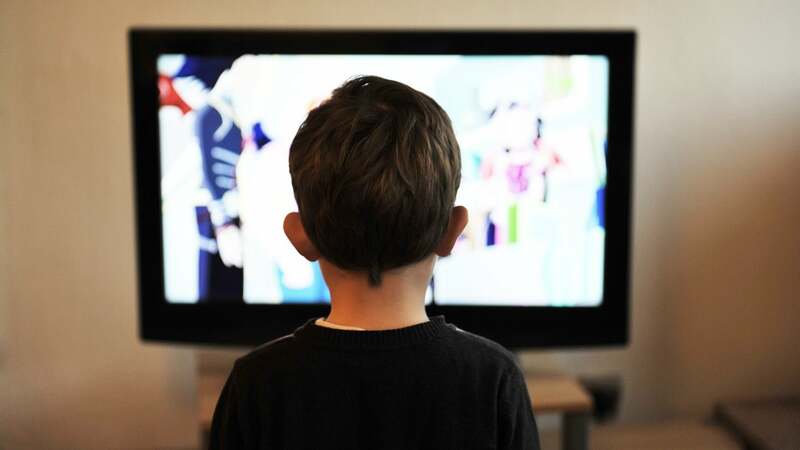 With time, it can even help improve your attention span and concentration. Pomodoro is a cyclical system. You work in short sprints, which makes sure you're consistently productive. You also get to take regular breaks that bolster your motivation and keep you creative. That "longer break" is usually on the order of 15-30 minutes, whatever it takes to make you feel recharged and ready to start another 25-minute work session. Repeat that process a few times over the course of a work day, and you actually get a lot accomplished — and took plenty of breaks to grab a cup of coffee or refill your water bottle. Inform the other (distracting) party that you're working on something right now. Call back the other party when your pomodoro is complete and you're ready to tackle their issue. Of course, not every distraction is that simple, and some things demand immediate attention. Sometimes, it's perfectly fine to tell your coworker "I'm in the middle of something right now, but can I get back to you in.... 10 minutes?" Doing so doesn't just keep you in the groove, it also gives you control over your workday. Marinara Timer (Web) is a web app we've highlighted beforethat you can keep open in a pinned tab. You can select your timer alerts so you know when to take a break, or reconfigure the work times and break times to suit you. It's remarkably flexible, and you don't have to install anything. Tomighty (Win/Mac/Linux) is a cross-platform desktop Pomodoro timer that you can fire and forget, following the traditional Pomodoro rules, or use to customise your own work and break periods. Pomodorable (OS X) is a combination Pomodoro timer and to-do app. It offers more visual cues when your tasks are complete and what you have coming up next, and it integrates nicely with OS X's Reminders app. Plus, you can estimate how many pomodoros you'll need to complete a task, and then track your progress. Simple Pomodoro (Android) is a free, open-source timer with a minimal aesthetic. Tap to start the timer and get to work, and take your breaks when your phone's alarm goes off. You can't do a lot of tweaking to the work and break periods, but you get notifications when to take your breaks and when to go back to work, and you can go back over your day to see how many Pomodoros you've accomplished over the day. It even integrates with Google Tasks. Focus Timer (iOS) used to be called PomodoroPro. 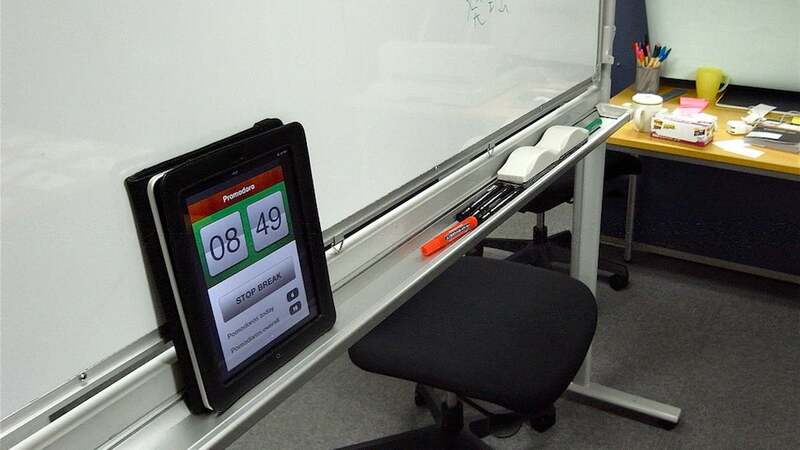 It's a feature-rich timer for iPhone and iPad. You can customise work and break durations, review your work history to see how your focus is improving, easily see how much time is left in your work session, and the app even offers a star-based rating system to keep you motivated. You can even customise the sounds and hear the clock ticking when you lock your phone so you stay on task. These are just a few good tools to choose from. Don't hesitate to experiment with others, but remember that the focus of the Pomodoro Technique is on the work, not the timer you use. Alternatively, you can buy a tomato timer and a copy of the book together from him directly. If you want Kindle or ePub versions of the book, grab them directly from Cirillo's store as well. 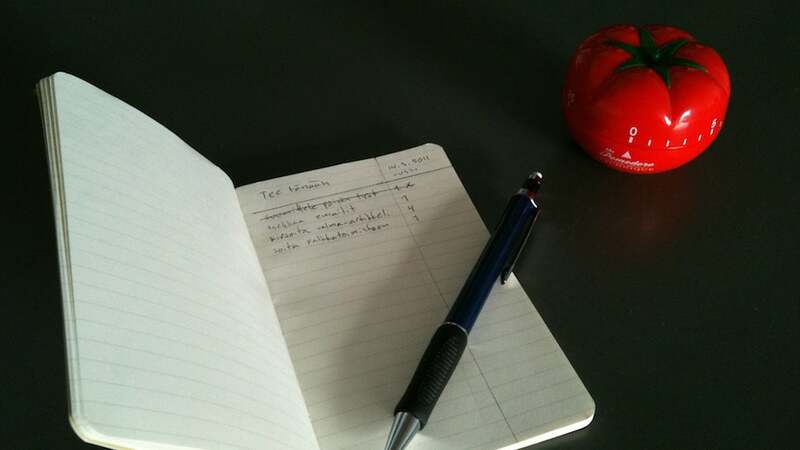 The Pomodoro Technique is often championed by developers, designers and other people who have to turn out regular packages of creative work. Essentially, people who have to actually produce something to be reviewed by others. That means everyone from authors writing their next book to software engineers working on the next big video game can all benefit from the timed work sessions and breaks that Pomodoro offers. However, it's also useful for people who don't have such rigid goals or packages of work. Anyone else with an "inbox" or queue they have to work through can benefit as well. If you're a system's engineer with tickets to work, you can set a timer and start working through them until your timer goes off. Then it's time for a break, after which you come back and pick up where you left off or start a new batch of tickets. If you build things or work with your hands, the frequent breaks give you the opportunity to step back and review what you're doing, think about your next steps and make sure you don't get exhausted. The system is remarkably adaptable to different kinds of work. Finally, it's important to remember that Pomodoro is a productivity system — not a set of shackles. If you're making headway and the timer goes off, it's OK to pause the timer, finish what you're doing, and then take a break. The goal is to help you get into the zone and focus — but it's also to remind you to come up for air. 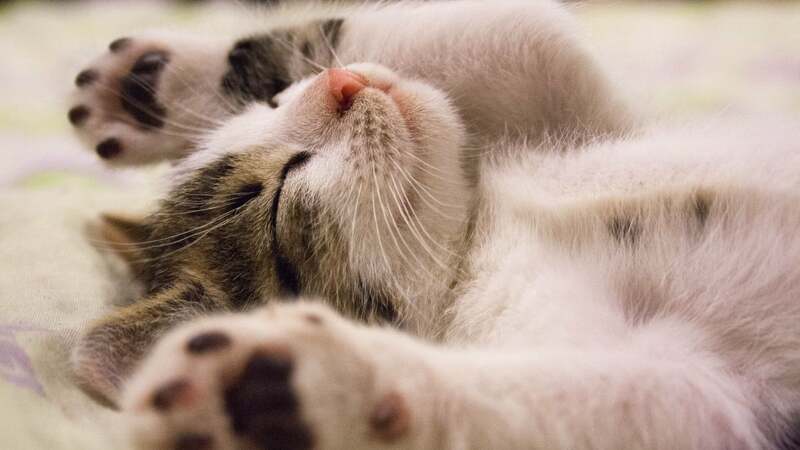 Regular breaks are important for your productivity. Also, keep in mind that Pomodoro is just one method, and it may or may not work for you. It's flexible, but don't try to shoehorn your work into it if it doesn't fit. Productivity isn't everything — it's a means to an end, and a way to spend less time on what you have to do so you can put time to the things you want to do. If this method helps, go for it. If not, don't force it. Since the Pomodoro Technique focuses squarely on how you do your work and not on how you organise your work, it's just begging to be remixed with other methods and systems. For example, if you're a fan of GTD (aka, Getting Things Done), you can easily use GTD to organise and prioritise — and then use Pomodoro to actually get your work done. It also works well with Kaizen, which emphasises continual improvement over time, or Scrum, which demands flexibility in organisation and priority, but still requires results. Many productivity systems focus on organisation or specific tools. In those cases, the goal is to help you avoid forgetting things and prioritise your work. Pomodoro's focus is on making sure you make progress on your tasks, stay focused and get things done without going insane. However, even though it plays well with others, resist the urge to over-hack your method and make it unnecessarily complicated. Pomodoro's utility is in its simplicity. Finally, the Pomodoro method is highly personal. Since it only really impacts how you work, you don't need to get other people on-board with it before it's useful. To a certain point, you can only read so much about the Pomodoro Technique — you have to just try it out on your own and see if it works for you. With luck, it will give you a way to be continuously productive while keeping you from burning out. Don't worry if you don't rack up 10 pomodoros in a day; many people who love the method note you may only get one or two in before you're distracted by something unavoidable. The upshot however is that those one or two pomodoros may be more productive than anything else you do all day. Great stuff. Pomodaro technique is one such technique which makes the time management pretty influence rich and straight forward makes the necessary arrangement so as to visualize the things move better. A better arrangement makes a better move of the things in the right perspective and thus with that particular vision I have been using the hours tracking tool from Replicon.